The purpose of this blog is to provide a “Q&A” on account-based marketing (ABM), but from the perspective of people that have consulted us about this powerful strategy. As you’ll read in a later section, sales and marketing alignment is crucial for a successful ABM program. This alignment is also what encouraged the creation of this informative blog. With the help of our sales team, we’re sharing and answering frequently asked questions (FAQs) that have come directly from our prospects and clients. ABM is a marketing and sales strategy practiced by many manufacturing and B2B companies around the world. The core idea of ABM is to focus and align a company’s marketing and sales resources around the same accounts – the ones most likely to deliver a major share of revenue in the foreseeable future. Another central tenet of this strategy is to look at an account as a whole and not as one or two individual buyers. Consequently, ABM uses account-centric KPIs for tracking success. How is ABM different from Marketing Automation? Marketing Automation (MA) is a tool mainly used for lead generation and administration and is organized around the email channel. MA is also very focused on known individual leads and contacts. It is not focused on all members of account buying committees, both known and unknown. That said, ABM is a company strategy that will usually use a marketing automation tool for the email channel. In this case, marketing automation is used strategically with a set number of target accounts in order to limit unnecessary wastage of marketing resources. How is ABM different from inbound marketing or content marketing? With “content marketing” (as opposed to advertising or promotion) you offer editorial, educational and other attractive materials. “Inbound” refers to the use of such content to attract visitors to a website or landing site. 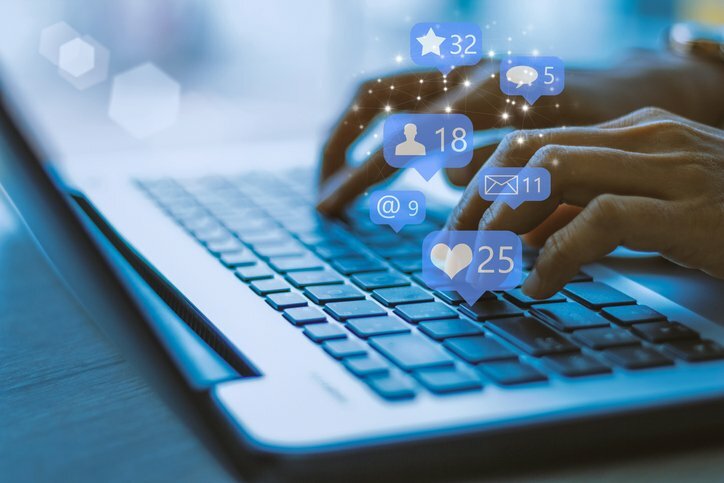 ABM can be described as both outbound (targeting specific accounts) and inbound content marketing (attracting their attention using high-quality content). 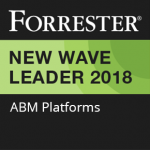 Why should I, as an industrial marketer, be interested in ABM? 1. Bigger buying committees: Today’s biggest B2B purchasing decisions aren’t made by one or even a few individuals. They’re made by a dozen people or more, including a number of influential individuals that your sales reps can’t even identify or reach. This is why you need to influence an entire account rather than a single lead. 2. Anonymous research: Today’s buyers are more anonymous and independent than ever. 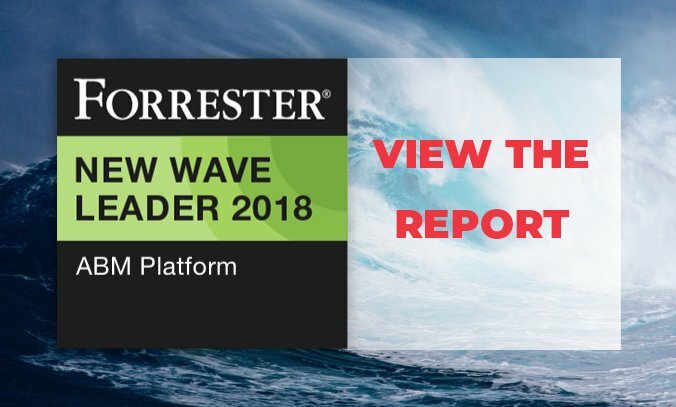 A bulk of their buyer journey is spent researching online, without ever reaching out to your sales reps. During this critical stage, they are learning and forming their buying motives and preferences. After that, it is often difficult to influence anything beyond price. 3. 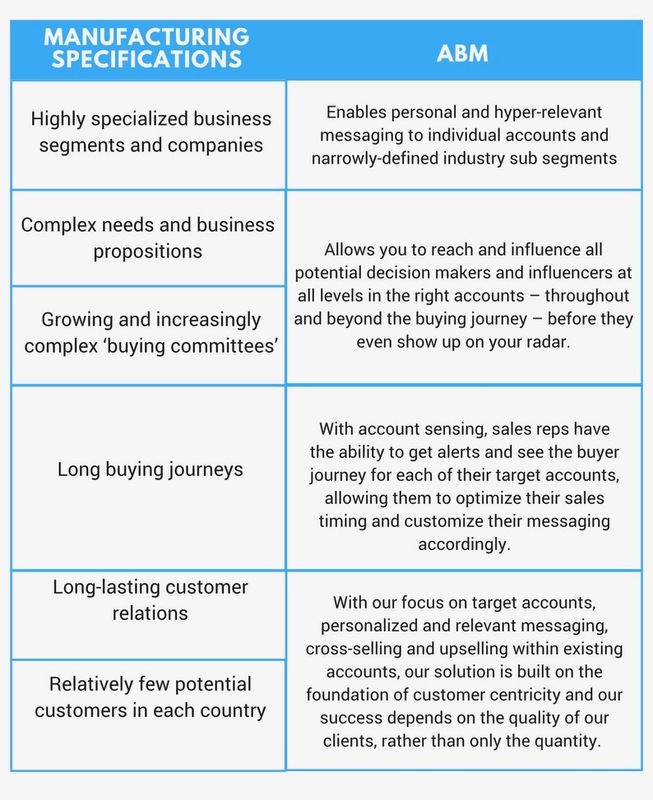 Expectation of personal communications: Even B2B buyers are expecting the personalized B2C experience. Generic advertising just doesn’t work anymore. Relevance is the new creative, and increasingly specialized business segments and potential customers call for hyper segmentation. What makes ABM a smart strategy for manufacturing companies? Is ABM compatible with my company? What if I sell via channel? Given our focus on manufacturing, we understand the complex channel structure that most manufacturers have. The fact is, while you might sell products through distributors, the end customer is actually who you need to market to and influence. You can focus on your customers’ customers and use your targeted messaging to educate and influence them. Several of our clients are doing exactly that. According to research from Gartner, 80% of your future revenue will come from just 20% of your existing customers. ABM recognizes the importance of customer retention and account expansion. To get more revenues out of your existing accounts, you can concentrate your marketing and sales efforts on all the decision makers within accounts in order to cross-sell and/or upsell your products and services. What if we aren’t ready for a digital transformation? It’s important to recognize that we live in the internet age and the need for digital transformation is inevitable. Whether your company is digital or not, your customers are and their buying cycles start online. ABM is a perfect first step for manufacturers to start their digital transformation. In order to get the most out of your ABM investment, we offer a range of bespoke and pre-packed managed services. Our consultants are there to supplement your team and deliver the added bandwidth and expertise from strategy to program execution. We are part of a large organization sharing one company website. How can we make sure to get the most out of our ABM activities? If you lead traffic from your targeted accounts to your shared website, it is important that they land in a section that is perceived as consistent with the messages that attracted them there. One way to ensure higher visibility and total control for a specific division or product is to establish a separate landing page – as personal and relevant as possible for the targeted audience. This also facilitates more advanced analytics and monitoring. The landing page can be set up to promote traffic to and from the regular company website. Website personalization can ensure that your online visitors are receiving messaging and content that corresponds to their evolving needs. The ability to adapt campaigns according to geographical position, sector, and the buying behaviour of your customers and prospects is a big advantage. How do I align my sales and marketing teams? ABM both presumes and enables the efficient alignment of marketing and sales, which is logical when you consider this strategy aligns who you are targeting and the goals that you have. Sales and marketing must be highly involved in the definition of objectives and strategies, including the selection of target accounts and the type of content and messaging they receive based on where they are in their buyer journey. To fully benefit from the activities, sales management and/or KAM/sales reps should continuously monitor the response from each targeted account. 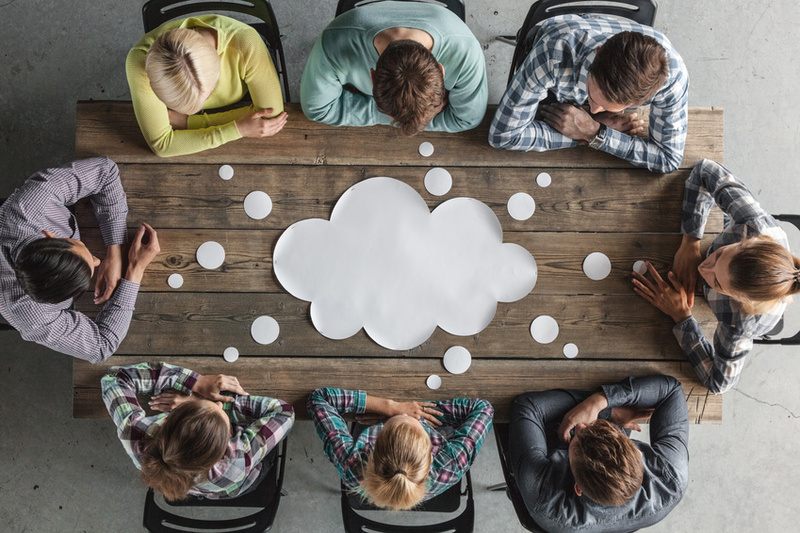 Regularly scheduled ABM review meetings between sales and marketing ensure that the company stays aligned on the same goals. How many target accounts should a company have under an ABM program? In principle, you should not address more accounts than your sales reps can follow up with effectively. In practice, you typically start out with a pilot program of 1 to 5 accounts and increase from there. Once established, most programs engage anywhere between 20 and 150 accounts. Companies targeting smaller organizations may address a larger number of accounts and personalize around industry versus around individual accounts. Can your ABM platform tell us which individual is visiting our website or landing page? No, but it can tell you which account/company, based on their IP address, he or she comes from. Considering the nature of industrial buying journeys, the monitoring and analysis of accounts is more relevant than the specific visitor. And more importantly, we can monitor the movement and continuously expose the anonymous individual with relevant and personalized content that is consistently updated throughout his or her buyer journey. How do you collect the IP addresses and how do you know they’re connected to a specific target account? An Account-Data Platform (ADP) is the foundation of the Jabmo ABM solution. It enables Account-Based Analytics, advertising and retargeting. It is comprised of 150,000 global companies, including their account hierarchies, and contains 65 million valid IP addresses. Compliant with data governance and GDPR, our ADP has 100% active IP coverage. How do I plan my media activities? The big difference, compared to traditional media campaigns, is that you personalize and address the ads towards a limited number of named target accounts. This way you can afford to stay visible throughout the entire buying journey – ie. Whenever important internal discussions or decisions will take place. In other words, Jabmo’s ABM program is an ongoing strategy rather than a “campaign.” When applying similar B2C strategies, the much shorter buying cycles often require high frequency advertising which can be perceived as rather irritating “stalking”. Considering the longer buying cycle of a typical B2B company, a normal frequency could be once or twice a week, or less. 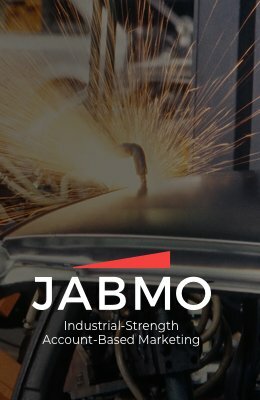 Jabmo’s inventory covers 90% of advertising space available, we have access to global ad networks, and can target the sites you want, or exclude those you don’t. We can optimize campaigns for premium sites, specific content sites, times, etc. How much time must our marketing department invest? First, appoint one person to be responsible for the ABM program. Make sure that he or she gets a proper introduction and training. During the initial phase, it is certainly a full-time job but this may change over time, depending on the scope of activities and who is responsible for content creation and other time-intense tasks. For large organizations, we generally recommend that a complete ABM program is a full-time job for at least one person. How do you price your solution? The cost of an ABM solution is typically based on a fixed basic fee, which is determined by the number of target accounts, web traffic, media spend, and additional services. How do I sell ABM to my CEO?